While you’re pursuing your studies, don’t limit yourself to learning in the classroom only. Take advantage of conferences, seminars, public lectures or talks by experts and professionals from different spheres of society. 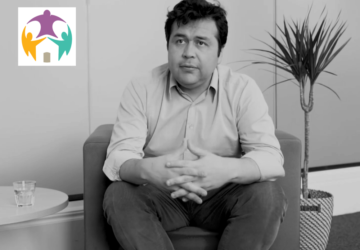 It’s always more interesting and insightful to hear from someone who has experienced and overcome challenges in a particular field. Students attend conferences and similar events for various reasons which mostly involve seeking connections, job leads or for exposure. Whatever your reason behind your attendance, these events provide platforms for interaction with people you would not have access to every day. While you may be focused on pocketing as many business cards as possible, do take note of the latest information and trends in your field of study as well as invest in some one-on-one interaction with like-minded people, tapping into their experiences and knowledge. It is an opportunity to initiate sincere relationships based on mutual interests. And take note, the quality of the of the conversations you engage in counts more than the number of people you get to talk to at one seminar or public lecture. 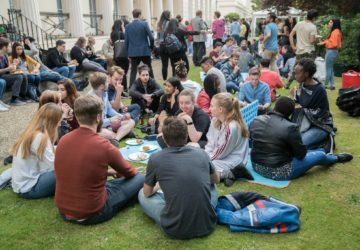 Most universities, if not all, host a number of conferences, talks and lectures through various associations and will often partner with organisations to offer students free or discounted entry. If you are interested in expanding your knowledge of African business, politics, culture or academia, consider the Royal African Society (RAS). 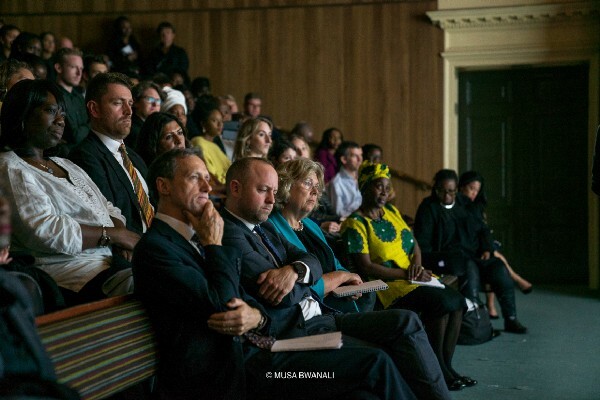 The Society’s diverse membership body comprises of business leaders, academics, politicians, civil servants, health professionals, journalists, writers, artists, musicians and students and focuses on promoting foster better understanding and strong relationships between Britain, Africa and the world. 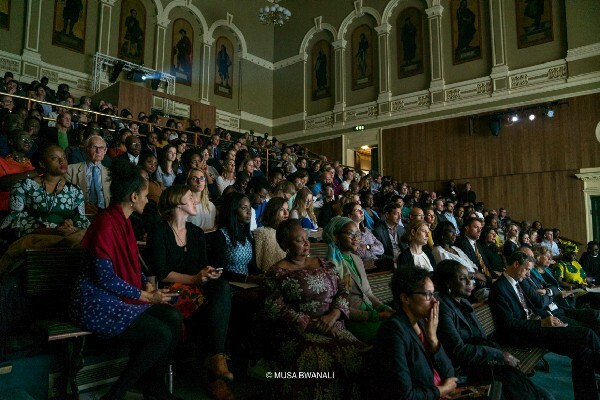 The Royal African Society is hosted by SOAS, University of London, the only Higher Education institution in Europe specialising in the study of Asia, Africa and the Near and Middle East. One of the Society’s many events is the Annual lecture that draws keynote speakers from different aspects of society. 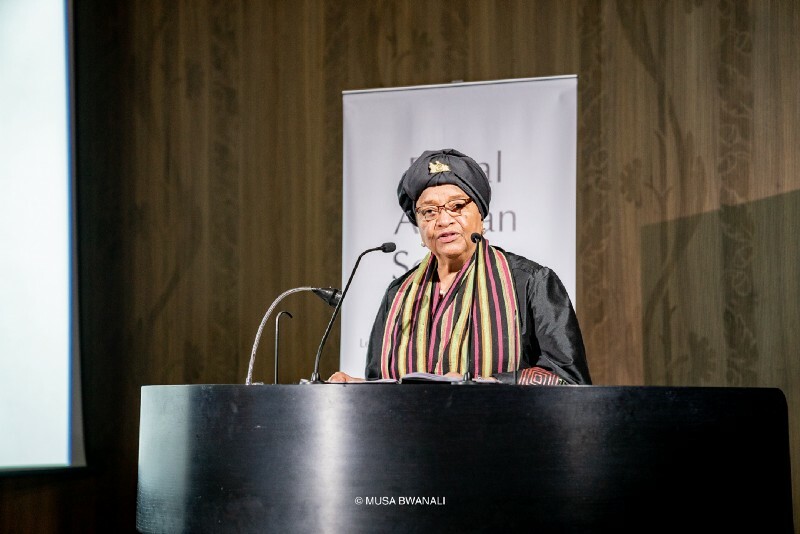 This year, Former Liberian President and Noble Peace Prize Laureate, Ellen Johnson Sirleaf delivered a lecture on democratic traditions of Africa, speaking particularly on the rising generation of African women who are demanding greater inclusion in the political process. Drawing from her experience before, during and after her two terms in the highest office of the state, she offered contextualised solutions to foster leadership and the full participation of women in Africa’s democratic future. 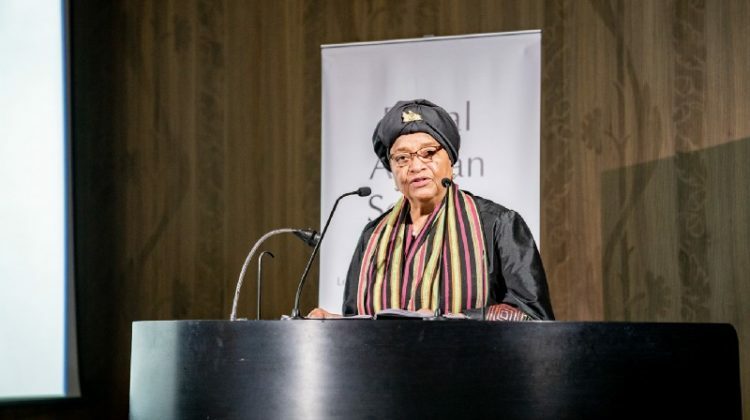 Sirleaf also highlighted that although there had been significant progress in engaging women fully in leadership roles at national, local and community levels in African states, there was a need to address the obstacles to political participation that are beyond patriarchy and misogyny — the institutional, societal and cultural. 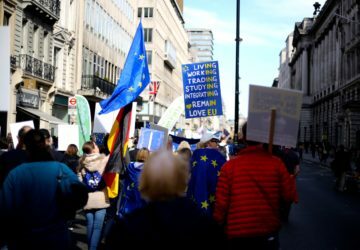 “If you look beyond the statistics, you will see that the real governing power remain largely closed to women,” she said. While it is necessary to note the achievements of women like Ngozi Okonjo-Iweala of Nigeria, the late Wangari Maathai of Kenya, Joyce Banda of Malawi, Graça Machel of Mozambique, the late Winnie Madikizela-Mandela of South Africa, Catherine Samba-Panza of the Central African Republic, and Amina J. Mohammed of Nigeria, who is now Deputy Secretary General of the United Nations, Sirleaf emphasised that breaking all the barriers to political participation would enable more women to rise. Listening to Sirleaf’s speech as well as the Question and Answer segment that followed it, one couldn’t help but admire her energy as she shared that she was 20 days shy of her 80th birthday but felt no need to slow down in her work. 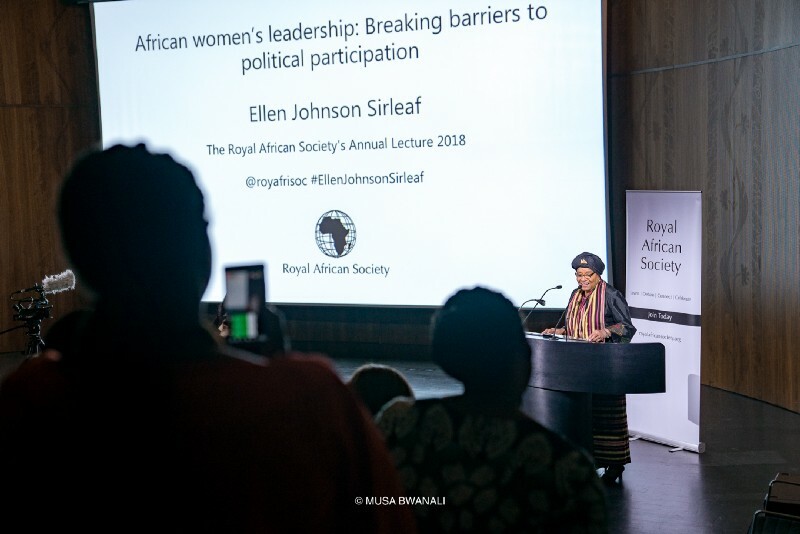 Even after serving her country for 10 years as head of state, Sirleaf continues to inspire and motivate young women to engage in politics for the development of the continent. For more events by the Royal African Society, keep an eye on their website.